From the mind of the silver screen's Queen of Evil, Terror, Lust and...Entendre, comes Elvira's Haunted Hills. Elvira (Cassandra Peterson) and her faithful friend Zou Zou (Mary Jo Smith) must travel cross-country to attend a highly-anticipated dance revue. Along the way, they are stranded in the Romanian mountains near the ancient Carpathian castle home of Lord Vladimere Hellsubus (Richard O'Brien). When they meet, Lord Hellsubus and his ilk discover Elvira is an exact likeness of his deceased wife. After a few spells, tricks, treats, falls down stairwells and gags fit for the nineteenth century, Elvira puts her own mark on the residents of the castle. If any hills are going to be haunted, they are going to be haunted with Elvira's own personal touch. Romania will never be the same! 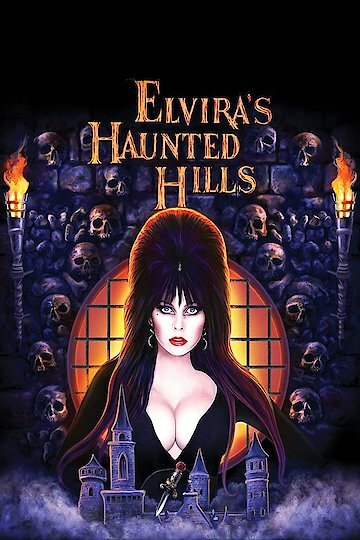 Elvira's Haunted Hills is currently available to watch and stream, buy on demand at Google Play, YouTube VOD online.